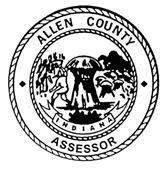 The Office of the Allen County Assessor is responsible for accurately and uniformly determining the market-value-in-use of every property in the county. This is achieved by using three approaches to value: Cost, Income, and Sales Comparison. 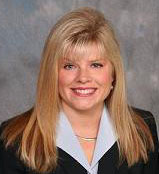 The State now requires annual adjustments of assessments to reflect changes in the market. Below you will find documents explaining various processes used in the valuation of property. We encourage you to contact us with any questions or concerns regarding your assessment. State Taxing District Look Up - Search using your name, address, or parcel number. Online Property Record Card Search - View property record cards only. Property record cards with transfers or value changes will be updated once per month. If you don't see your changes, check again in a few weeks. Click here for instructions on how to search for Comparable Sales. Click here to learn more about the Advanced Sales Search option. Click here to sign up for Electronic Tax Bills. During statewide reassessments, county and township assessors physically inspect each property to ensure that records are correct. Inspection accomplishes the gathering of data to value the property. For example, does the property still have a free-standing garage and an in-ground pool? Is the building on this property still 1,200 square feet or has it increased or decreased in size? By confirming this information, assessors can ensure properties are properly valued. Assessing officials will re-assess approximately 25% of the parcels in their jurisdiction each year over a four year time frame. The maps below will show when you can expect our staff to be in your area. For more information about land assessments, visit the DLGF website here.